Photoshop Fail : Sometimes Photo editing or Photo retouching becomes wrong, many of these Photo editing errors are found in Print Advertisements, Popular Movie posters, Magazine Front Cover and Editorial Pictures. Adobe Photoshop is being used for eliminate the annoying components, resizing, retouching fashion models. Sometimes your best photos can be goofed up or blotchy skin on your fashion photos if you don't have a professional photo editor. 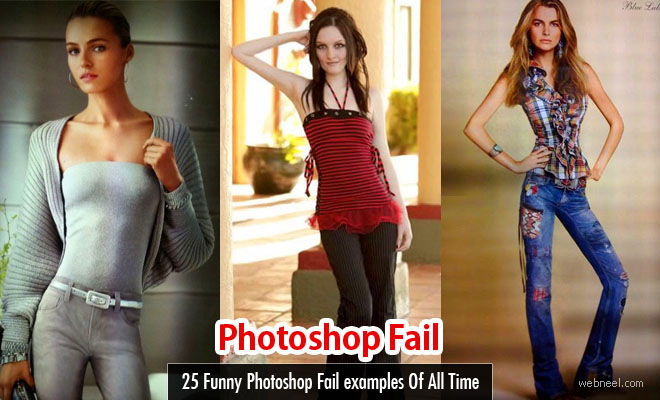 We have collected 25 funny Photoshop fail works around the world just for laughs.